Mushotoku mind means an attitude of no profit, no gain. It is the core of Taisen Deshimaru's Zen. This respected master, the head of Japanese Soto Zen for all of Europe, moved from Japan in 1967 and brought this work to Paris, from where it was disseminated throughout the West. 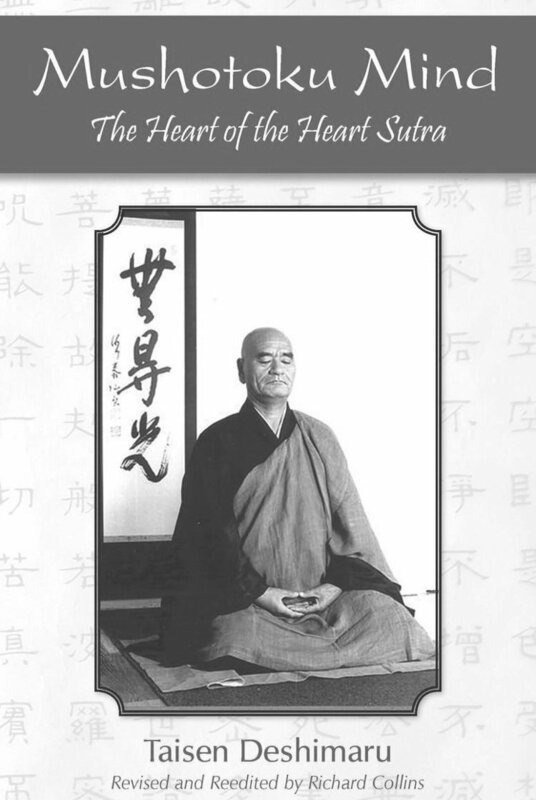 This book presents his brilliant commentary on the most renowned of Buddhist texts, the Heart Sutra, known in Japanese as Hannya Shingyo-a philosophical investigation on the futility of philosophical investigation. Deshimaru's work fills a great gap in the interpretations of this seminal text in that he emphasizes "mind-emptiness” (ku) as the foundation of Zen practice, in contrast to the usual "mindfulness” focus of other Zen approaches. This "emptiness” and "purpose of no purpose” is one of the most difficult ideas for Westerners to understand. Yet we know that our most cherished values are based on mushotoku mind when it comes to love. We value the unselfish love of family or country that is based not on what we can get from the relationship but on what we can give. We know, too, that these virtues are not accomplished directly through our will but indirectly through dropping our expectations.